Security glass is purpose designed to maximise the security of a building and the safety of those inside. 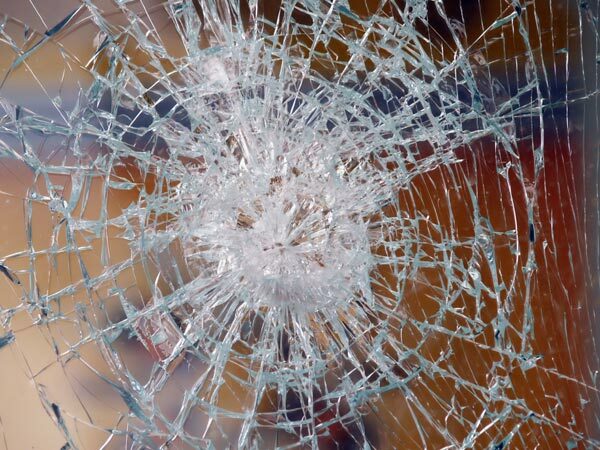 However many variations of security glass solutions exist, each of which as classified differently based on their performance under pressure. To determine the best fit security glass solutions for your project, it’s important to understand how each security glass classification is tested and designated. A pendulum test is used to test the security glass EN12600 classification – the standard of security glass typically in used in construction of security glass windows or security glass doors. A 50kg weight, enclosed by two pneumatic tyres, is swung at the glass panels. Depending how the glass performs, it is then classified in two different ways. The first test is the drop height, which decides if the glass is in the category 1, 2 or 3. The pendulum is dropped toward the glass at 190 mm, 450 mm and then if it still hasn’t broken, 1200 mm. However, if the glass broke in accordance with the following guidelines, it passes through to the next classification. • Cracks appear but no pieces break free. A sphere with a 76 mm diameter cannot pass through, even when a force of 25 N is used. • If pieces break free within the first three minutes after impact, their combined weight isn’t more than 10,000 mm2 of the original test piece. • If disintegration occurs within the first three minutes, the 10 largest particles that do not have cracks cannot weigh more than the mass equivalent of 6500 mm2 of the total test piece. The second classification depends on how the security glass shatters once it’s damaged. Type A means that numerous cracks appeared. These formed separate, large fragments which had sharp edges.Type B means that although numerous cracks appeared, the glass remained as a whole. This is typical of laminated security glass.Type C means that the glass experienced some level of disintegration into small particles, which is typical of toughened security glass. f the security glass survives three strikes in a triangle shape, it passes through to the next round. (For P5A, it must survive 3×3 strikes in a triangle.) It’s then hit by an axe for classes P6B to P8B. For P6B, it must survive more than 30-50 blows, and for P7B it must survive between 51 and 70. A classification of P8B it must survive more than 70. The EN 1063 Classification consists of firing shots at the points of a 100 mm equilateral glass triangle, in order to ascertain if the security glass window is bullet proof. If the glass isn’t pierced by the shots, the desired class is assigned. The available classes range from BR1 – S/BR1 – NS to SG2 – S /SG2 – NS, and for the purposes of testing, only one bullet is used. The security glass is then classified based on the distance and the calibre of the weapon, as well as the velocity and mass of the bullet. However, there’s an aluminium witness sheet behind the glass. If this is damaged from the shots, the classification must have the suffix of S for splinters. If it isn’t affected, it has the suffix NS for no splinters. How can I find out more about security glass? For further information on security glass, contact Diamond Glass today. Our expert team of security glass manufacturers would be happy to advise on the exact specifications of your project.